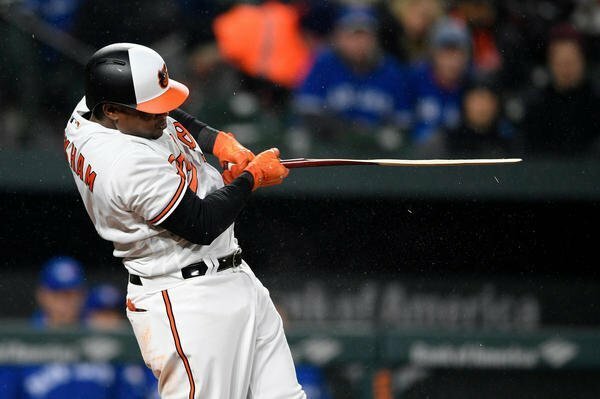 The Orioles host the Toronto Blue Jays in the second game of a three-game series at Camden Yards. #Orioles with the ol' K/ 2-6-5-1 double play negated. Throw to second from Sisco behind plate on Granderson, running on 3-2 pitch, goes past. No one covering third. Cashner got there and landed on top of Granderson with ball. But "some kind of interference" called. Back at 1st. Jonathan Schoop was hit by a pitch, then picked off and caught in a rundown in the #Orioles first. Aaron Sanchez has thrown 25 pitches in three shutout, hitless innings against the #Orioles . Kick save and a beauty on a grounder up the middle by Andrew Cashner. 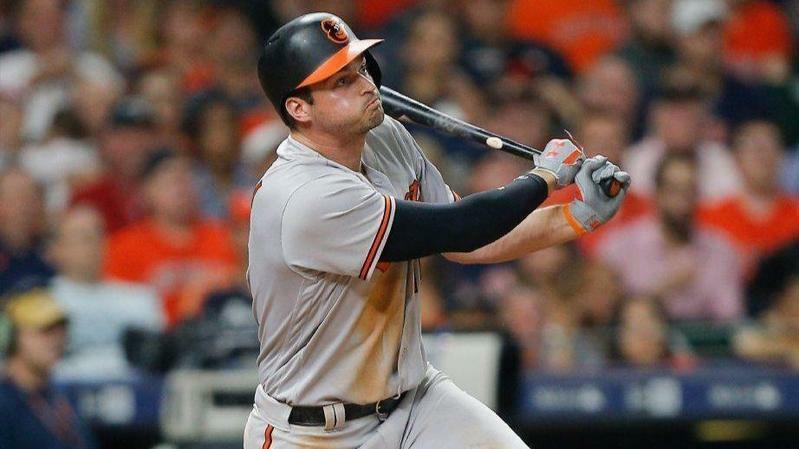 Gets Steve Pearce by a step, but at what cost? He’s trying to walk it off. 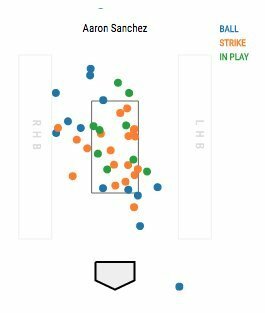 Two #Orioles reach, via a walk, then a fielder's choice, and Aaron Sanchez has thrown 42 pitches through 4. Andrew Cashner strands two in the 5th inning. #Orioles and #BlueJays still scoreless. Miguel Castro warming in #Orioles bullpen. Seven shutout, four-hit innings for Andrew Cashner. But the #Orioles haven't given him anything. Chris Davis flies out center field softly for his first fly-ball out in seven games (seriously), and the #Orioles remain hitless. Oh man. 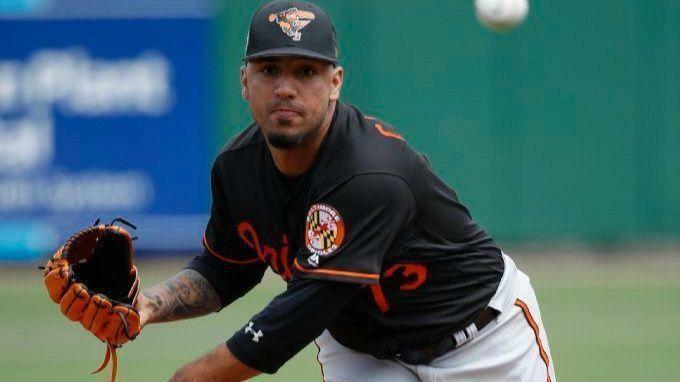 #Orioles down 1-0 after Smoak walked, went to second on wild pitch, advanced to third on single by Solarte to right field and scored on an E9. Santander overthrew cutoff man and Sisco couldn't stop it. Solarte singles to right, Santander throws home up the line and it gets past Sisco and rolls into Toronto dugout. Runner at third is awarded home. #Orioles down 1-0 in the 8th. Two errors, including one on Tim Beckham on a slow roller to third, only result in one run. But the hitless #Orioles trail 1-0. Maybe that will spark them. Nutmegged Josh Donaldson, who came up on it too early. But it's a hit.